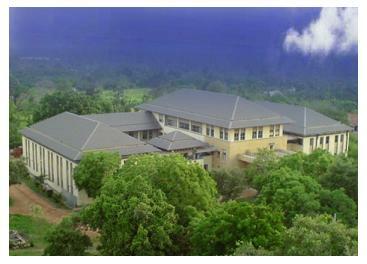 The Rajarata University of Sri Lanka (RUSL) is a public university established on 7 November 1995. It was established for the purpose of providing, promoting and developing higher education in the fields of Social Sciences and Humanities, Management Studies, Agricultural Sciences and Applied Sciences. The University is the successor to the former Affiliated University Colleges at the Central, North-Western and North-Central Provinces which were amalgamated into the Rajarata University. RUSL is an emerging university which was joined to the national university system. At present the university comprises of five faculties with over 2500 students and more than 150 academic staff members. The faculties of Social Sciences & Humanities, Management Studies, and Applied Sciences are located at Mihintale premises where the Faculty of Agriculture and the Faculty of Medical and Allied Sciences are established at Puliyankulama and Saliyapura. The Rajarata University of Sri Lanka has a strong commitment to the community. This commitment is manifested in the university’s activities in a number of ways. For example, student groups such as the Environmental Society, which undertakes conservation projects such as tree planting, serve the university’s community. Community engagement is also incorporated into the academic mission of the university. For example, through Extension programs, the Department of Agricultural Systems exposes students to the farming community to give them an opportunity to understand prevailing conditions and find solutions to problems faced by the community.